Long before the brokerage was even contemplated, we founded FXOpen as an educational center of technical analysis meeting the demand for specialized knowledge that ensures efficient trading. The launch of brokerage services in 2005 was only natural in order to satisfy the need for fair and transparent trading conditions with an excellent customer support. Then FXOpen realized that those skills and knowledge must be coupled with technological superiority in order to fully complement the traders’ war chest. Up to this date we see it as the pillar of our work to improve and create the most innovative solutions for trading activity. Being the first one to introduce an innovative MT4 ECN in 2009 FXOpen provided retail traders with access to the ECN market via the MetaTrader platform for the first time in history. Then the PAMM (Percentage Allocation Management Module) accounts were introduced to let investors view and control their managed accounts in the most transparent method possible. FXOpen didn’t stop at that and added 0.1 minimum lot on ECN. Add a trading account (Micro). Make a deposit via any available Payment system in My FXOpen. The minimum required deposit is USD 1.00. FxOpen will add the bonus automatically to the first Micro account that you open. You can use the bonus for live trading. 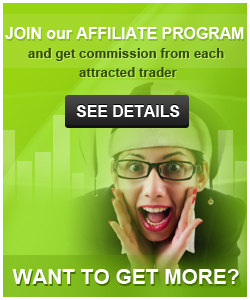 Welcome bonus is withdrawable after making 100 Micro lots of traded volume. All closed trades are counted – both losing and profitable. The welcome bonus will be voided if you withdraw from your account (or transfer to another FXOpen account) before getting 100 micro lots. Only one welcome bonus is paid to each eWallet. You can get either $25.00, $10.00 or $1.00, depending on which account you open first after registration (Standard, STP or Micro). That means if you opened a Standard account first and received the USD 25.00 bonus, you will not get the USD 1.00 bonus when adding a Micro account or the USD 10.00 bonus when adding an STP account. Join ForexCup trading competitions and earn real-money prizes and bonuses for your live trading! Take a dive into the exciting world of Forex trading competitions with ForexCup! ForexCup.com offers regular weekly and monthly trading contests for demo accounts. You can join most of them for free but some have a small entry fee. Forex trading competitions are the best way for you to gain experience in Forex trading and to try out and improve your trading strategies. Demo ECN trading During the contest you will be trading in the Demo ECN environment, closely reproducing the conditions of a real ECN market. All trading is done via the well-known and popular MetaTrader 4 terminal. Real Money prizes and bonuses. Our bonuses and prizes are real money. After the end of the contest you can withdraw your prize or use it for live trading. Over 150 competitions since the start of ForexCup including traditional Free Profitable Week, fee-based Monthly Contests, the novel Scalping Virtuoso and Crypto Mania competitions and Regional Forex Championships. In 2013, we awarded prizes and bonuses worth of $120 000 to our best players. Same year, 38 traders were awarded PAMM ECN accounts with $1000 deposits. A new competition is about to start soon! 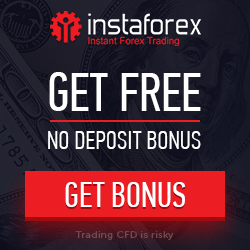 It is not possible to exchange IB account in Fxopen. Client need to open a new account using the agent ID 881173 to start get a rebate. I have an ECN account with them for few months now. And there is no issue. the performance is good, I do not suffer requotes or connectivity issues. The spread is also very good. I\'ll continue with them for sure.